Contemporary clean home with STYLE! 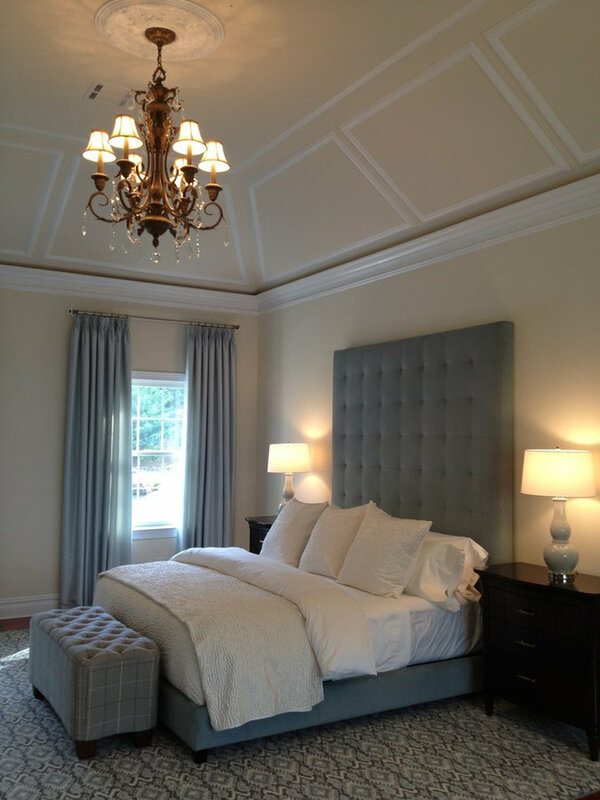 The bed is the focal point which was made oversized and buttonless tufting. The coloration is blue and cream, keeping it tranquil. At the base of the bed is a tufted ottoman in a plaid fabric. 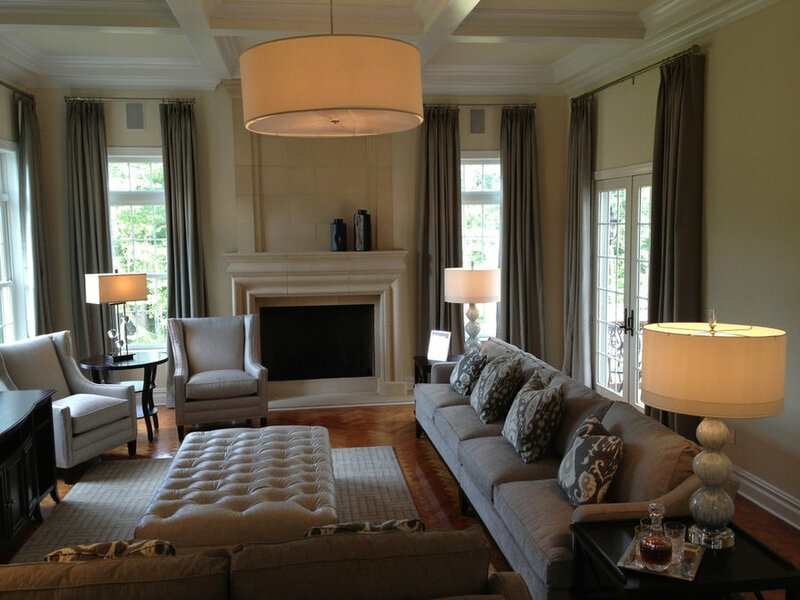 Simple silk side panels flank the windows. The bed rests on an ikat patterned rug in blue, cream, gray and white. For a pop of color we chose a very traditional style wing chair and covered it in a magenta velvet with silver nail heads. Beyond is the living room with the custom made curvilinear sofa with a swooping white lamp over a riverstone cocktail table in silver. The drapery is a silvery leaf patterned drapery side panel. We brought in a violet oval pillow to bring the color in from the foyer. 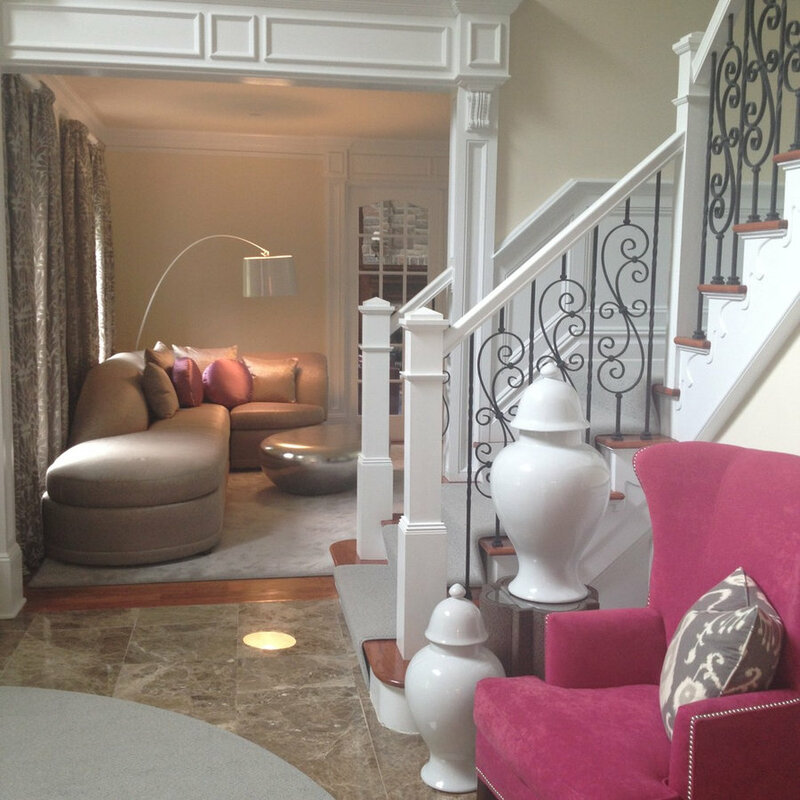 At the landing of the stair, a vignette with a pair of oversized chairs using the same fabric from the main foyer to tie the spaces together. 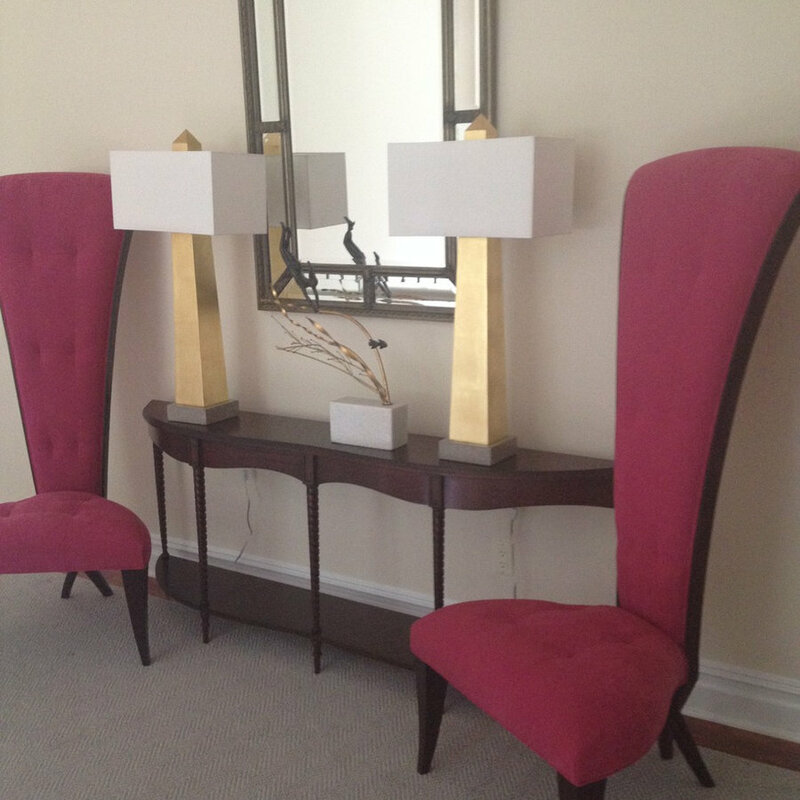 The console table with a pair of oversized gold pryamid shaped lamps as anchors of the console.